A few years ago we decided one of our objectives would be to walk across the Canary Islands following the GR131 and staying at rural hotels along the way. Walking the GR131 is no longer on our ‘things we want to do’ list. But not because we’ve been able to put a tick against it. We have walked extensively in the Canary Islands, crossing islands on wildly varied footpaths and staying at some belting rural accommodation. We just haven’t used the GR131 to do so. There’s been one very simple reason for the change in our thinking. The more we walked on various islands the more we came to see the GR131 didn’t always follow the best walking routes. We only occasionally walk with guides on the Canary Islands, usually when sounding them out to make sure we haven’t missed the best routes. Just about to a person they tend to steer clear of the GR131 or sister route GR130. So do we. Although some paths we walk can include sections of it, we rarely follow it for long. 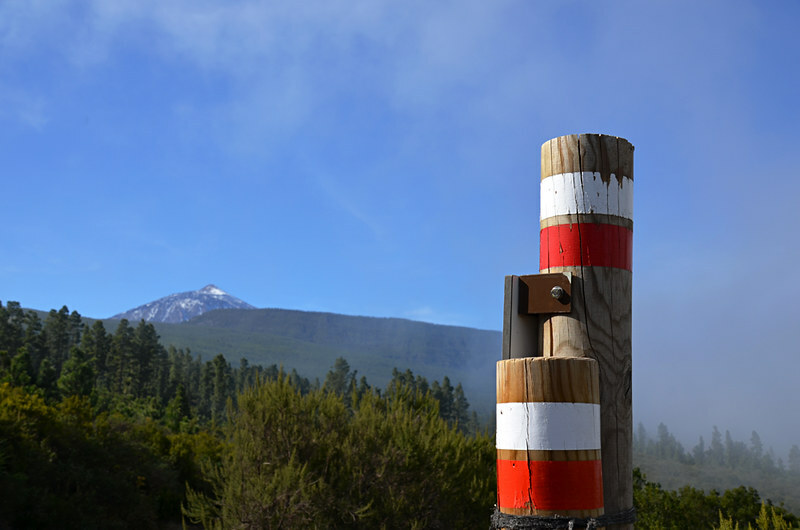 To explain better, it helps to take a look at each Canary Island. Lanzarote is our least favourite Canary Island when it comes to walking. We’re fans of green scenes and diversity when it comes to hoofing it around the countryside. Whilst Lanzarote’s volcanic landscape is initially quite mind-blowing, especially for anyone for whom gazing over a violently surreal world is a rarity, we find the walking can get a bit ‘samey’ compared to what’s on offer elsewhere in the archipelago. Subsequently the GR131 which dissects the island from Órzola to Playa Blanca is often described as not being particularly difficult and, worse, being rather dull. The GR131 on Fuerteventura runs a sensible course starting at the Isla de Lobos before skipping across to Corralejo in the north before it travels all the way to the southern tip, passing through some of the island’s prettiest and most historic towns. When putting together a slow travel holiday there it seemed the obvious choice but Andreas, an experienced local guide, soon put us straight: “It’s boring.” He kept well away. 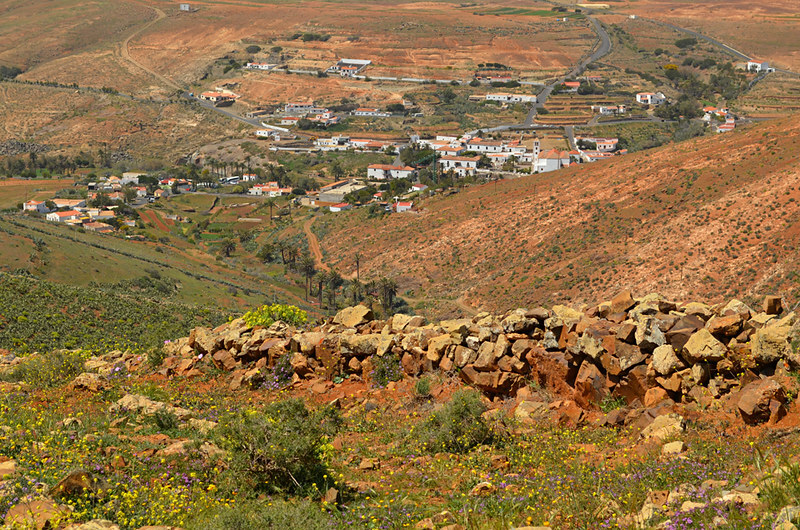 Although Fuerteventura may seem to offer the same sort of walking as Lanzarote it is in reality very different, even down to the colour of its voluptuous hills. Where the GR131 split the island, many of the most interesting walks lie off to the side, often hidden in ravines away from any roads. This could be a very brief section as the GR131 on Gran Canaria officially doesn’t exist. For some reason the GC authorities have done their own thing when it comes to waymarking routes. It’s especially bewildering as, thanks to the island’s shape and the diversity of scenery, Gran Canaria would be the best island for the GR131. 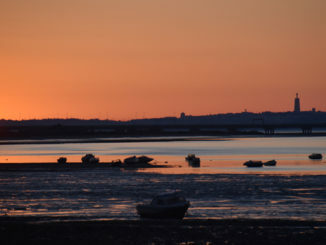 One of our most satisfying walking experiences involved crossing the island from just above the south coast and following routes which took us right to water which lapped the north coast. To be fair, La Gomera’s GR131 follows a good route from San Sebastián to Vallehermoso, but you find good walking just about anywhere on La Gomera. 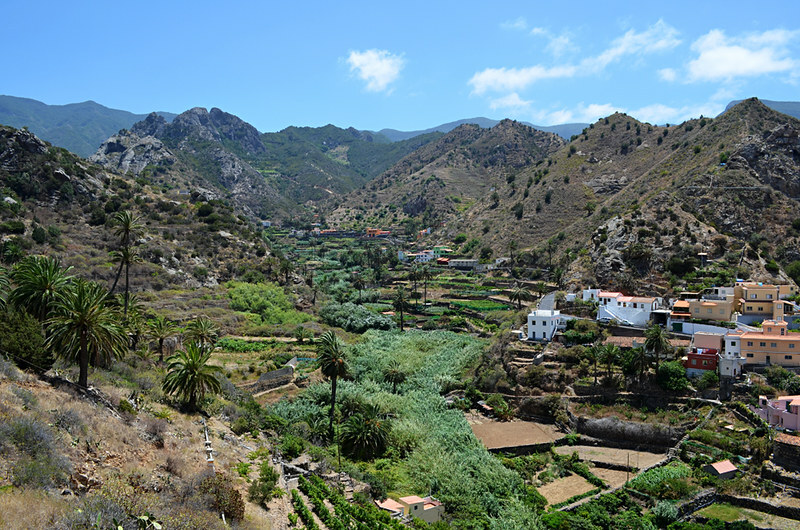 Saying that, the San Sebastián section is on the dull side and we swapped it for a more interesting route into the island’s capital when putting together walking routes for a La Gomera holiday. Again, thanks to the island being a dream of a walking destination, the GR131 traces a varied and interesting route across La Palma, following a trail from Puerto de Tazacorte which climbs above the Caldera de Taburiente to Roque de los Muchachos before following the Ruta de los Volcanes to the island’s southern tip. 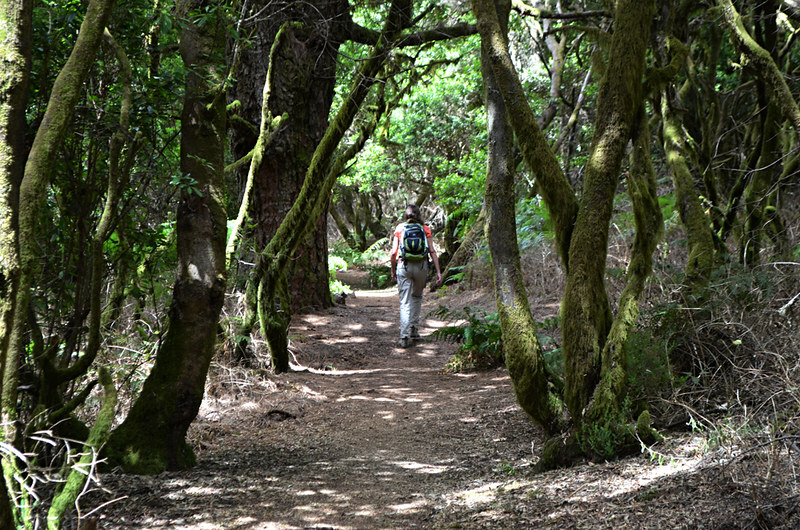 But again, it bypasses some of the most beautiful parts of the island; areas where we feel the walking is unique and special – the northern half of La Palma. 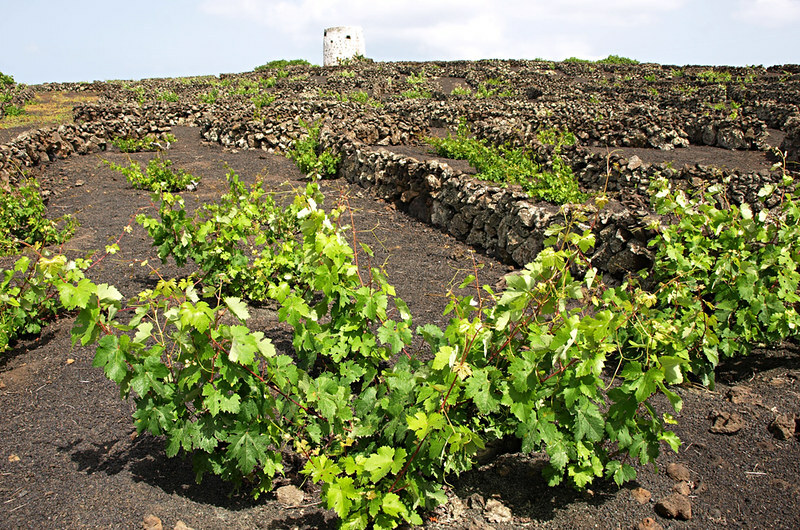 The GR131 on El Hierro is probably best of all as it gives a fully rounded experience of what the island has to offer, starting at the locals’ summer settlement of Tamaduste on the coast, climbing through the capital Valverde before crossing agricultural plains and forests along the spine of the island and traversing the ridge above the wonderful El Golfo Valley before it descends to the remote volcanic world around Faro de Orchilla. Apart from the factors already mentioned, another reason we only dip in and out of GR routes is they can regularly be along tarmac roads. Plus, GR131 routes can be quite busy because they’re well known within the walking community. 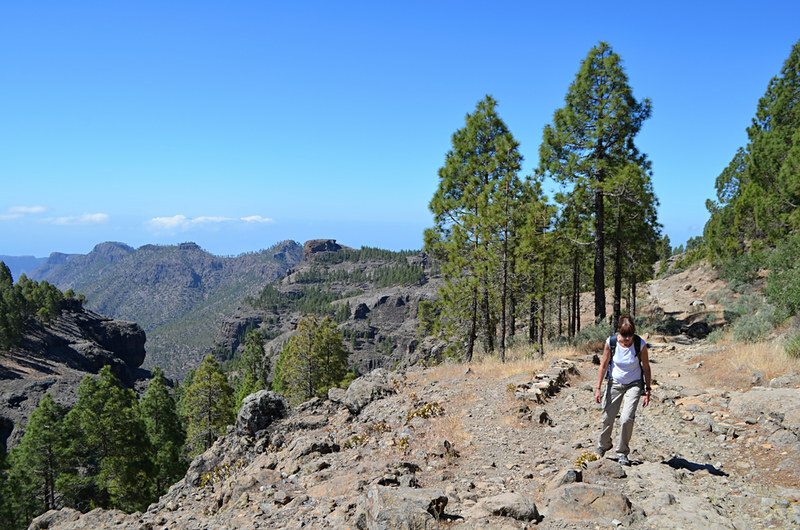 Recently we took a friend on a circular route in the Orotava Valley on Tenerife. It was a route we put together using local paths and a section of the GR131. On the local paths we passed not one other walker. On the GR we passed a large group of walkers and two or three hiking couples. Hardly urban bustle, but consistent with the GRs being generally busier than other trails. Ultimately the GR131 across the Canary Islands doesn’t necessarily offer the best walking in the Canary Islands, but that’s relative. 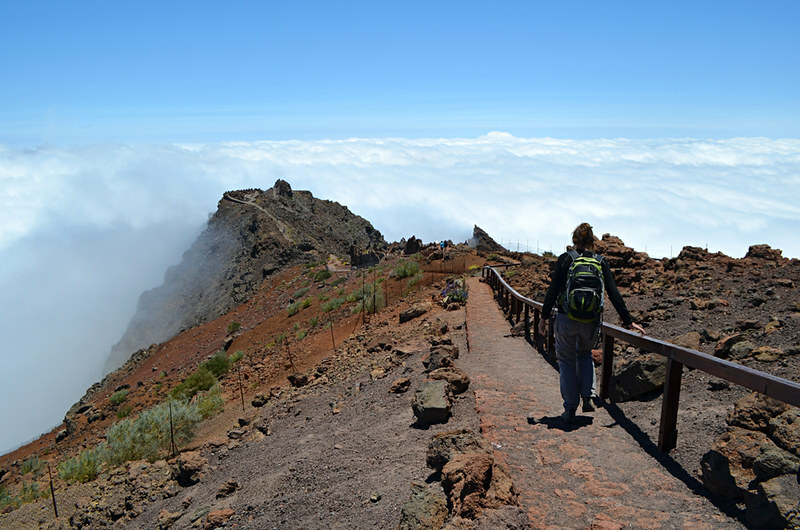 Walking anywhere in the Canaries rewards with experiences which are different from walking in other parts of Europe. 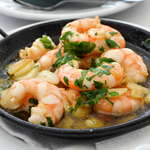 Additionally, the GR131 does guarantee a taste of the islands which is a million miles away from that which the majority of sunseekers devour. Routes are usually better waymarked than others. And, when you don’t have the luxury we have of being able to return again and again, it does provide a ready made path across seven (eight if you include Los Lobos) remarkable islands. Did the GR 131 in Tenerife and up to the stretch on Gran Canaria in november. Liked it very much. I enjoyed reading that, thanks for sharing it. I’m planning to walk around one of the islands next week for about a week. I have a couple of questions. 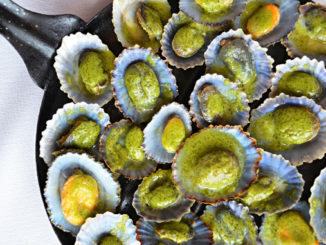 Firstly, I am drawn to La Palma, but it could be any. Is there any island you would recommend if I only have time to go to one? Secondly, would you be able to suggest a walking route/let me know where I could find some good resources for walking routes? The answer to that would depend on what sort of walking experience you’d be looking/hoping for Ellen. All the islands are quite different in many aspects. Here’s a piece we wrote for our Walking Tenerife website which outlines our thoughts from experiences of walking across all the islands, so hopefully this miight help you decide. As for best resources, it depends on which island. 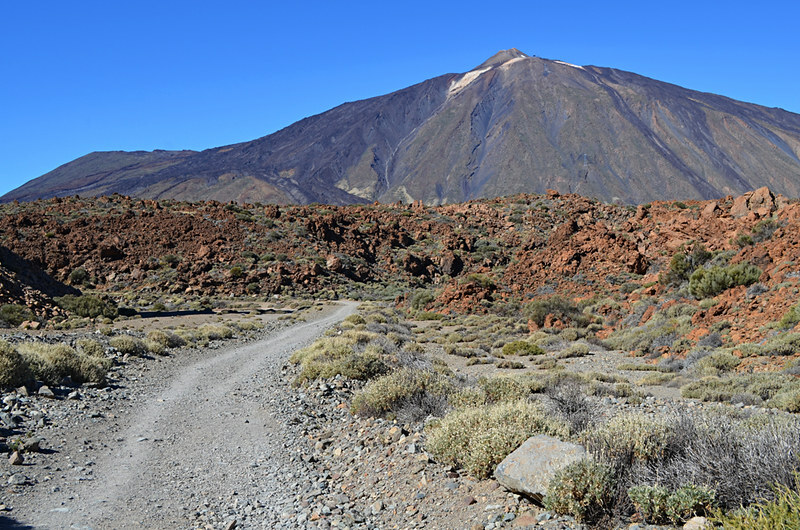 We have written walking routes for each island but, apart from Tenerife, they were only for the use of Inntravel customers, a specialist UK company we act as slow travel consultants for.